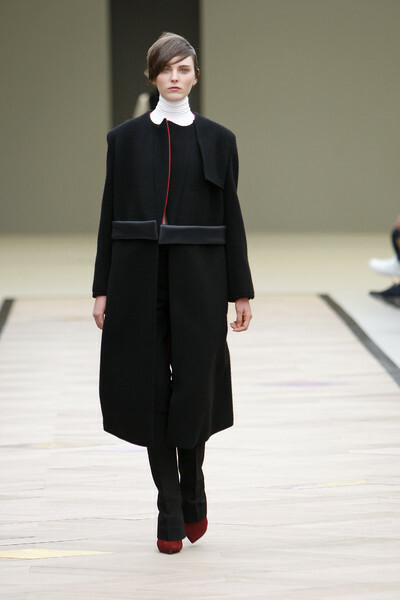 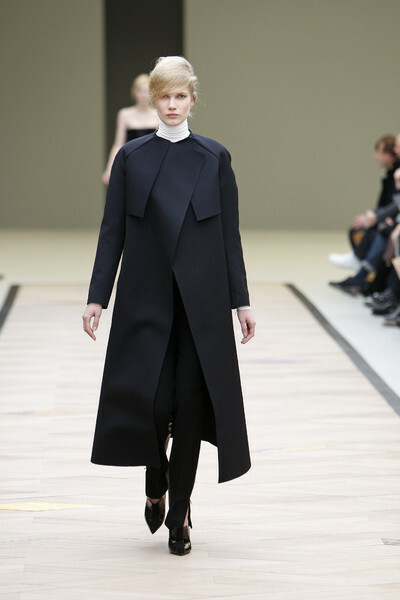 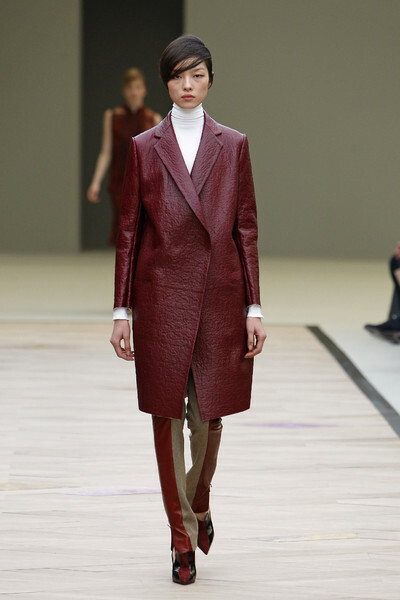 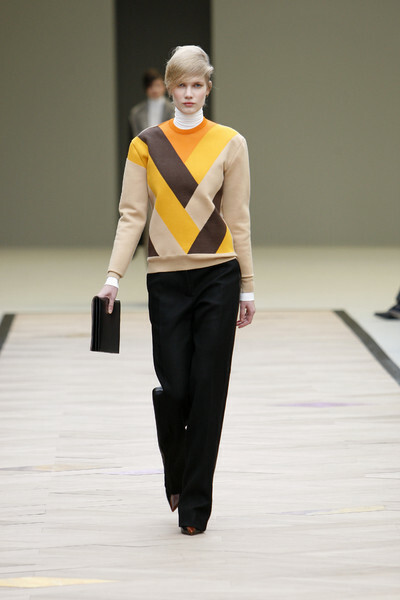 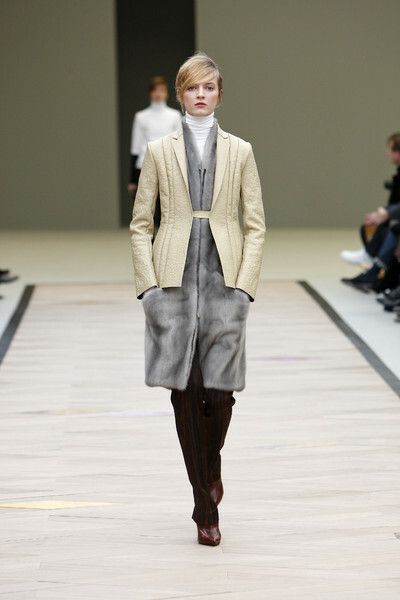 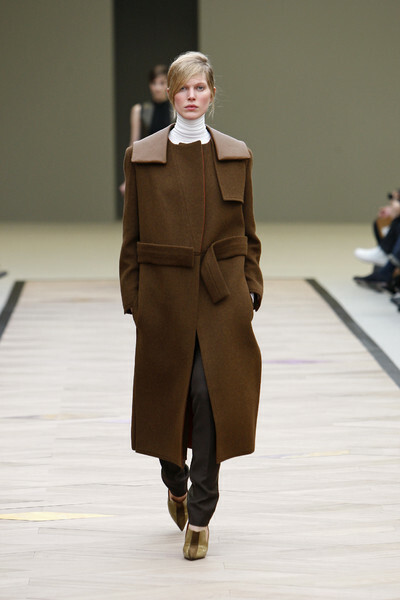 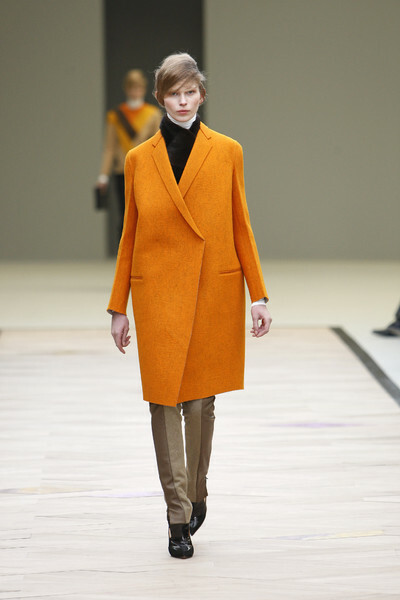 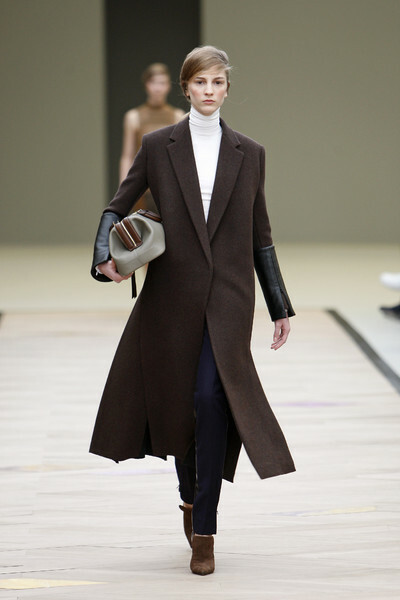 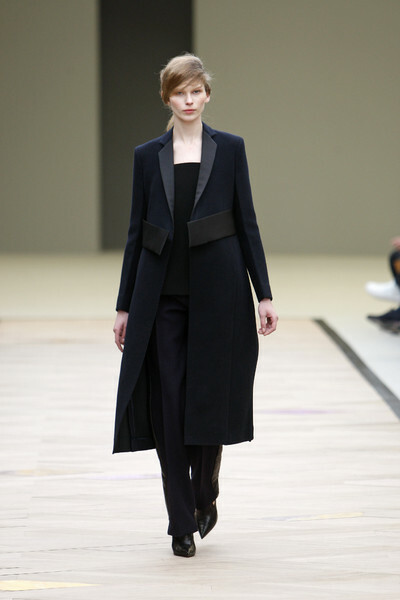 Oh, oh, that was another beautiful, simple and sober collection Phoebe Philo created for Celine. 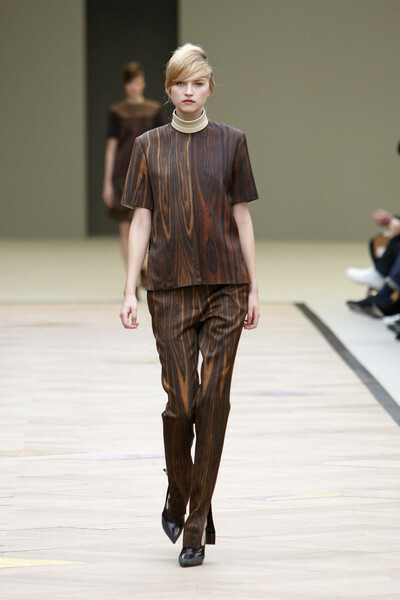 Hardly any prints, except a wood-print in brown-tones, but muted colors ranging from black, brown, darkred, yellow, orange, creme and light pink. 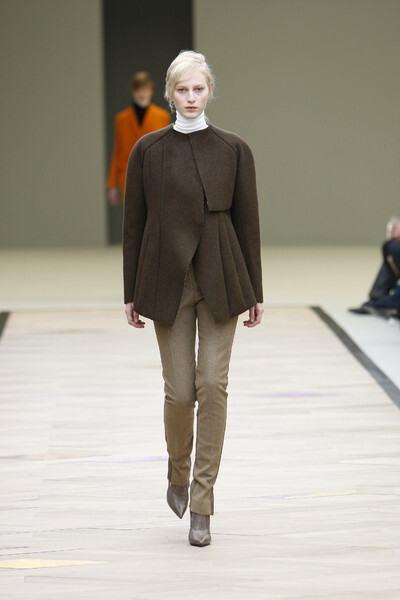 It was minimal to the max: long straight coats, two-colored pants, sleeveless tops at pleated skirts and a graphic play with contrasting colors in shirts and turtlenecks. 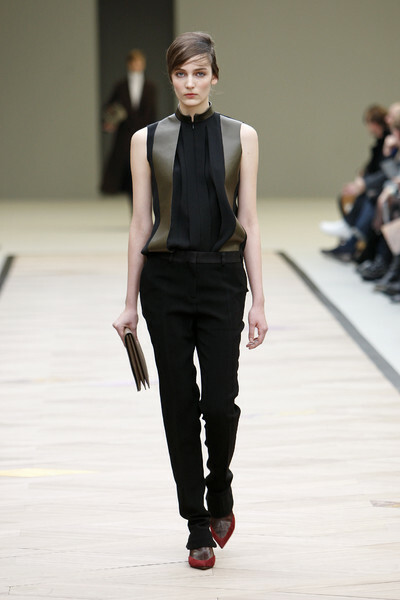 No jewelry, onlu twotoned pointed shoes, two new handbags – that’s it. 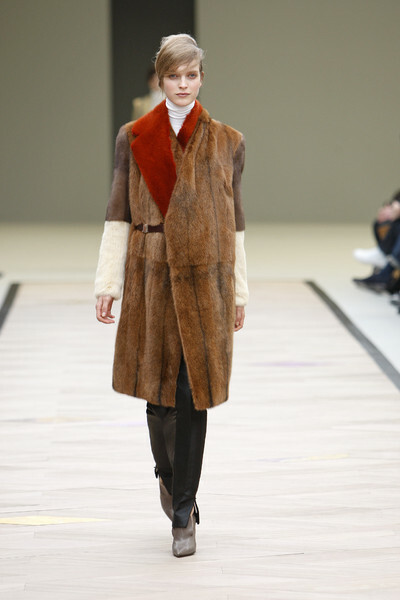 The only indulging part were the fur-coats and deux-pieces in a soft furry fabric.